– Need for a a consistent set of terms and definitions as well as associations. 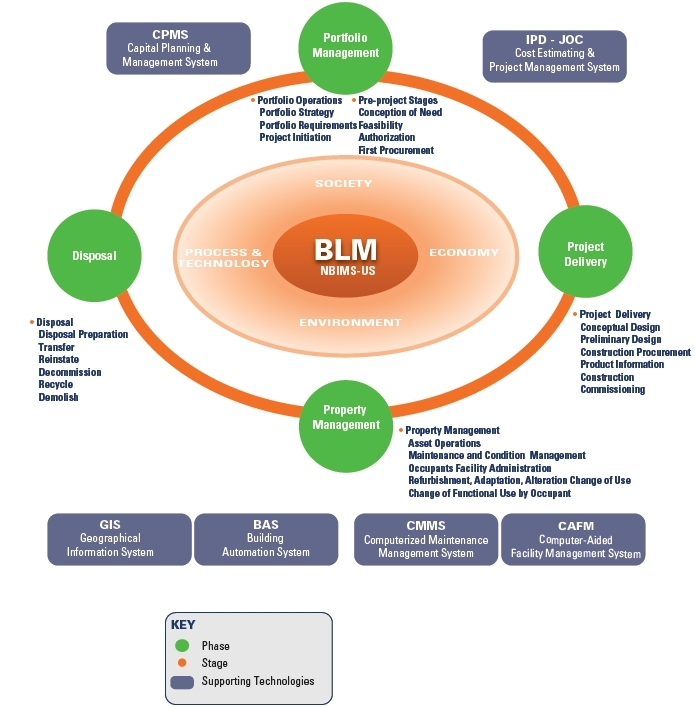 A BIM Ontology enables collaboration and cost effective information creation and ongoing reuse. 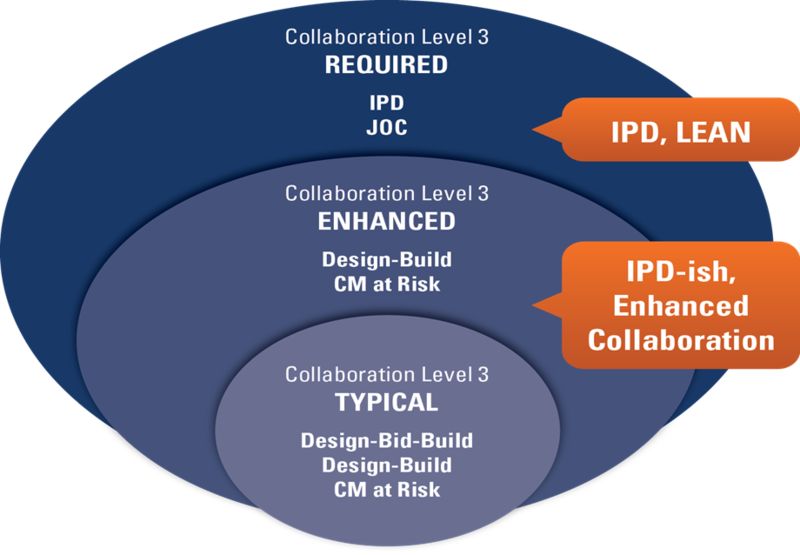 – Collaborative construction delivery methods vs. ad hoc antagonistic methods such as design-bid-built. – Focus upon life-cycle cost vs. first-costs. 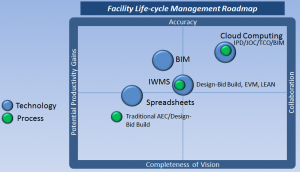 What are Facility/Infrastructure Life Cycle Costs? 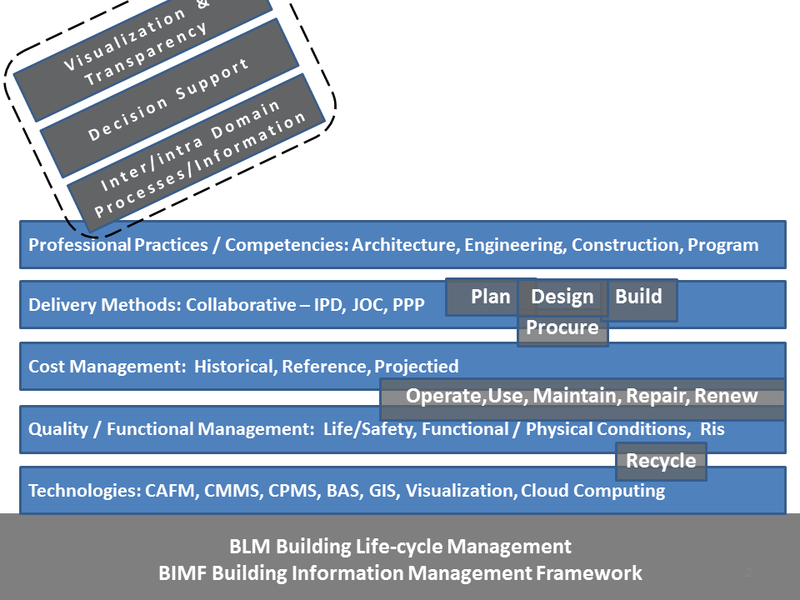 Is BIM the life-cycle management of the built environment supported by digital technology? How important is a standardized ontology? 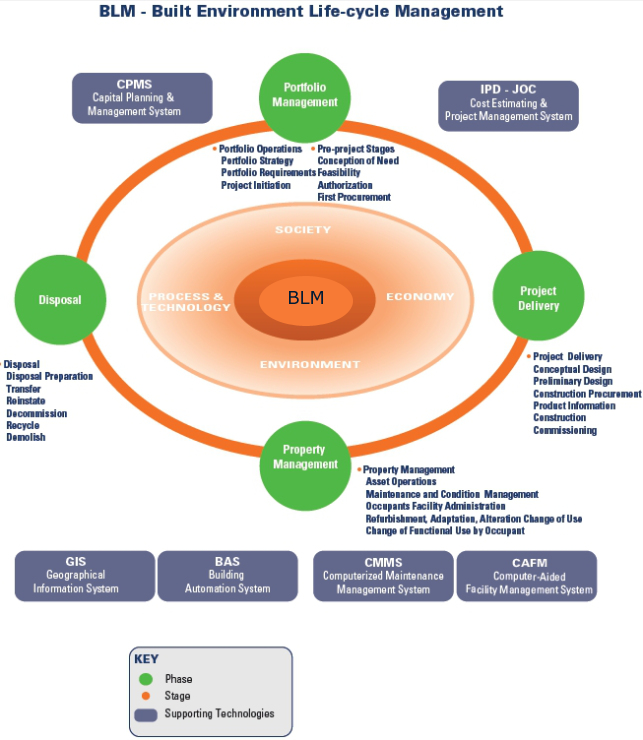 What are the primary competencies and knowledge domains required to support life-cycle management of buildings and other physical infrastructure? 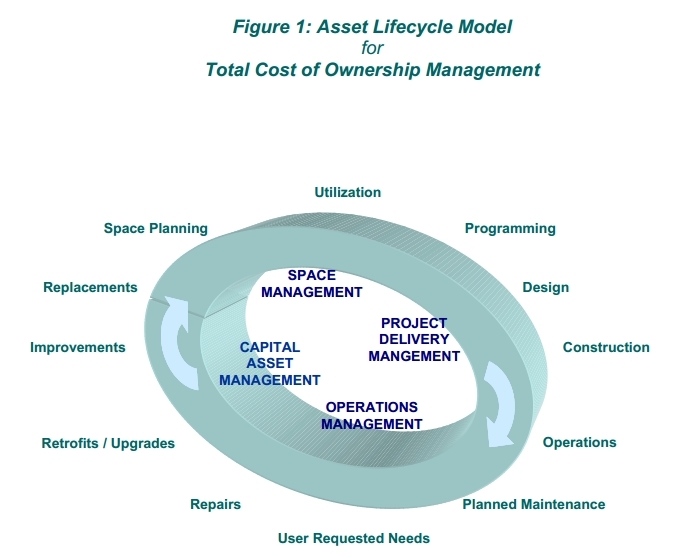 What are the benefits of life-cycle cost management vs. a “first-cost” focus? How important is impartial third party cost data to life-cycle management? 1. The total cost of ownership of a built structure throughout all phases of conceptualization, design, procurement, construction, repair, renovation, adaptation, maintenance, operation, and deconstruction. 2. 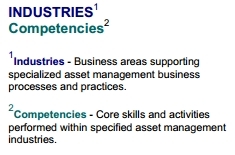 A process incorporating the ongoing, pro-active management of a built structure in order to best support the organizational mission(s) of the Owner. 4. Critical. 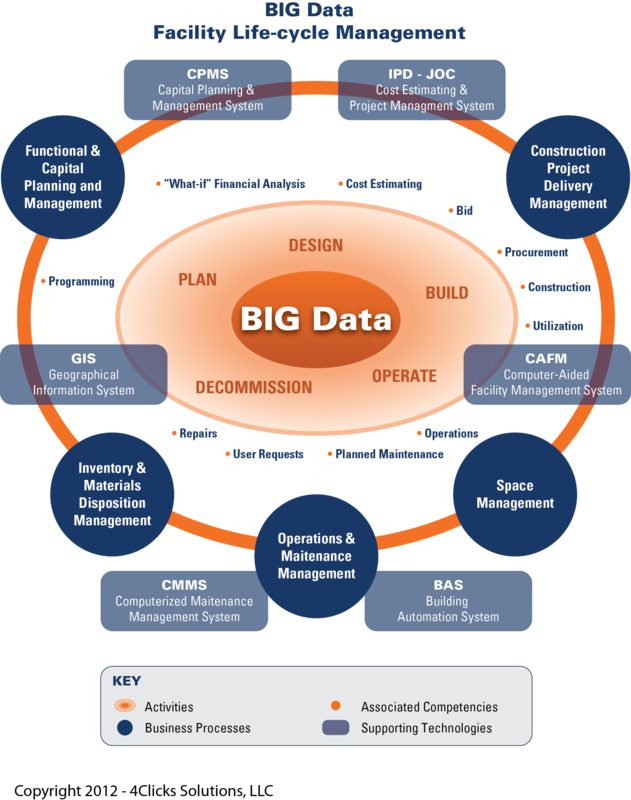 A robust ontology complete with terms, definitions, and associated inter-relationships and/or data architectures is mandatory in order to achieve efficient life-cycle management of the built environment. 5. 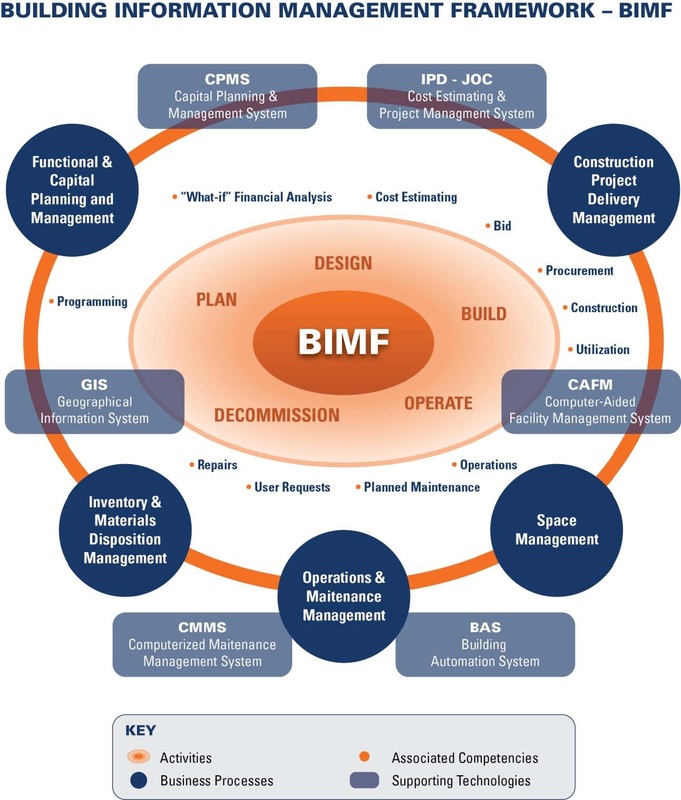 Competency and integration of multiple knowledge domains are required: Capital planning an management (CPMS) – the ongoing assessment of physical and functional requirements and needs as well as associated capital reinvestment decision support, ongoing routine maintenance (CMMS) of equipment and building components with individual task orders typically under $10,000, space planning and utilization (CAFM), building automation systems (BAS), geographic information management (GIS) and others. 7. Critical: Independent third party cost data, such as RSMeans, provided a check and balance vs. external vendors/service providers and internal team activities/requirements. 8. 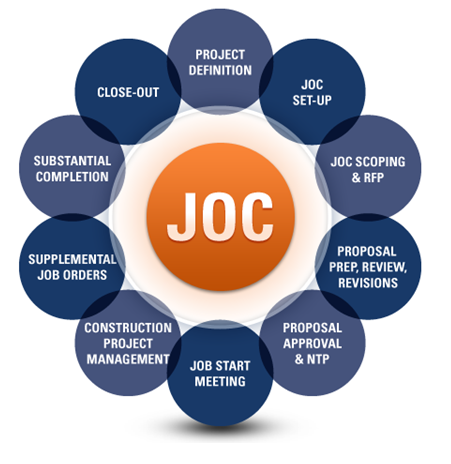 Critical: Robust, collaborative construction delivery methods such as Integrated Project Delivery (IPD) for major new construction and Job Order Contracting (JOC) for renovation, repair, sustainability, and minor new construction are integral to life-cycle management.